Ain’t NOBODY Need a Perfect Cuppa Like We Do! I can still remember standing in our Harvest Gold 1970’s kitchen trying to make perfect coffee. This involved scooping Taster’s Choice into a cup (or, for a real treat sneaking some of Mom’s Café Vienna) and adding boiling water… and back then, that was good coffee. Now, I practically need to down a cup of coffee before I can make my coffee. My French Press mishaps are enough to make me laugh… except they’re just too sad. Ground coffee in the cup instead of the press? Check. And every other possible pre-caffeine screw-up. Here’s our guide for brewing a cup of perfection… and what goes into it. A real coffee connoiseur is usually very particular when it comes to their cup of Joe. If you love coffee, you probably have a java preference. While some coffee fans like their roasts death-wish dark and strong, others enjoy their flavors crisp, bright, and sweet. Despite the different types of roast, several key guidelines can be considered when making any coffee brew in order to produce the most tasty and fresh you possibly can. Keep these recommendations in mind next time you are brewing your own beverage. As there are many different roasts and varieties of coffee bean, many coffee drinkers have a personal preference. No matter what your favorite type of bean is, there are a few things to consider when storing them. Fresh beans produce the greatest coffee brews. Do not buy too many bags of coffee at a time so they do not go to waste. 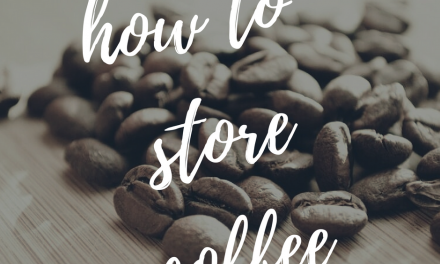 Keep about two weeks worth of coffee in a sealed airtight container so it won’t oxidize. Also, do some research into coffee sources and brands to get the best quality. Be sure not to grind up more than the desired serving size before brewing. No matter what kind of coffee-making equipment you may have, keeping everything clean allows your brews to have an amazing taste. All equipment including standard coffee makers, professional espresso makers, bean grinders, etc. should be washed after use. Clean the equipment using a clean cloth or hot water depending on the instructions included with your equipment. Scraping and cleaning every crevice and surface of your equipment gets rid of residue and oil that can cause your future brews to taste bitter. The kind of water you use to brew coffee has a huge impact on the flavor produced. Highly chlorinated tap water or water with minerals are least ideal. When making coffee, you want to use bottled or filtered water. Avoid soft or distilled water and be sure you are using cold water. Water quantity used in brewing affects the flavor of the result. It is best to use about one to two entire tablespoons of coffee grounds per six fluid ounces of H2O. Adjustments can be made to create various tastes. Coffee brewed with finely ground beans is quite different from coffee made with coarse grounds. Avoid grinding the beans too fine, as this causes the brew to taste bitter. Grind them too coarse and the brew will be flat. Ideally, you want to have a mill or burr grinder that will give you a steady grind. A cheaper alternative produces variously sized grounds. If the grounds are consistent, the brew tastes better. Upon brewing your perfect cup of coffee, drink it as soon as possible. When coffee sits around for awhile, it will lose its flavor. Keeping your java in thermal carafes is a great idea for keeping it hot. Following these tips will have you brewing caffeinated perfecting each morning. PreviousMomma Never Said There’d Be Toddler Tantrums Like THESE! NextI Want to Learn Spanish!